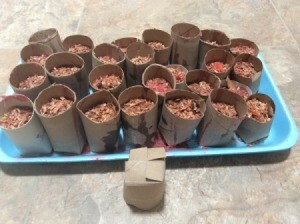 I liked the many suggestions for using paper towel and toilet paper rolls to make fire starters. My problem was that I didn't have a good way to stuff the rolls and pour or dip them in wax. Then I remembered my camp craft class where we made paper baskets (this was a looong time ago!). 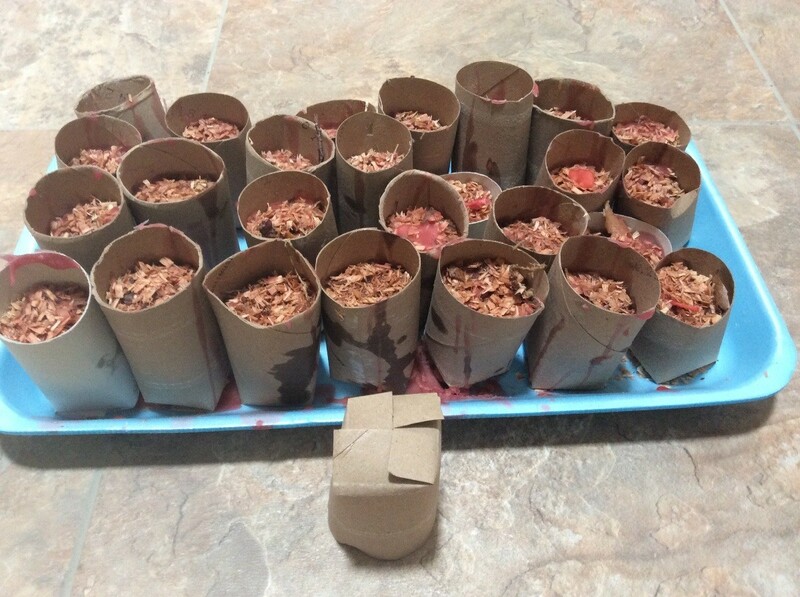 Cut paper towel rolls in thirds. Fold one end and make a cut about 3/4 inches through both layers. Open the fold up and fold again so that the cut ends are now on the edges. Make another cut about 3/4 inches and open up the fold. Fold the four cut edges so they cover each other (like a box). The paper roll can now stand up and be filled with dryer lint, sawdust, etc. Pour the melted wax into the open end. I also put these on a styrofoam tray (the kind meat comes on works well) and set my rolls up one against the other on the tray so that any wax that seeps through will pool on the tray and not make a mess of my work surface. We liked to burn candles in the jars but then they would get low and you couldn't light them any longer. So we used one of the cute candle burners that heats the candle but doesn't burn it to melt the wax then poured it into cardboard egg cartons. We would save Styrofoam cartons to set the cardboard ones in to catch any leakage. Just cut or tear the sections apart and use as fire starters.